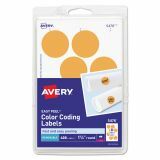 Avery Printable Removable Color-Coding Labels, 1 1/4" dia, Neon Orange, 400/Pack - Mark your important objects or dates with neon clarity. Round color-coding labels affix firmly to files, documents, inventory, calendars and more to help you stay organized, and they are removable so you can peel them away when you don't need them anymore. 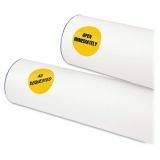 The bright color draws the eye so you can easily find similar items or keep track of important appointments. 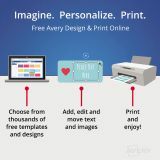 Customize the labels either by hand or with free templates available online and your laser printer. 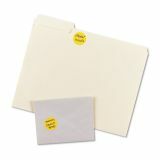 They are good for document and inventory control, routing, organizing, highlighting, price marking and scheduling. 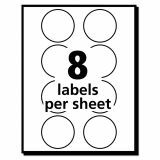 Labels come on a 4 x 6" sheet size. They are not recommended for use with color laser printers."